What is there to say about the first Highlander movie that hasn't already been recounted to a thousand psychoanalysts by criminally insane people describing their MK Ultra flashback fever dreams? It's the story of a secret race of immortals, living among us regular Joes, constantly trying to cut each other's heads off. James Bond is a Spaniard with a Scottish accent and Mister Krabs has safety pins in his neck. Does this sound like the sort of thing you'd hear gurgle-screamed from between the cracks in the walls of reality? Well, it was the '80s, and cocaine wasn't officially a bad idea yet. 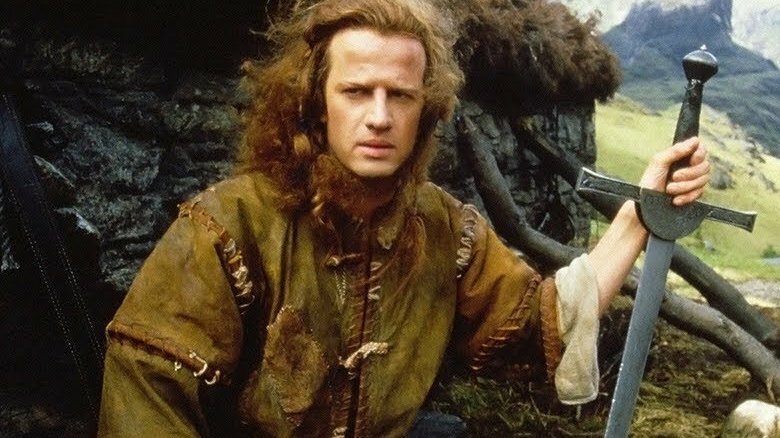 Highlander (originally titled The Dark Knight) follows the journey of Connor MacLeod, an Immortal with a capital I, as he comes to terms with the fact that his life is going to be pretty swordfight-centric forever. It launched a franchise with so many unseen sequels that Jean-Claude Van Damme probably fired his agent for not getting him a piece of the action. Six movies, two live-action TV series, and — no kidding — a kids' cartoon later, it remains one of the most puzzling corners of pop culture to date. But what fate has befallen the lucky performers who got in on the ground floor and brought the original movie to life? 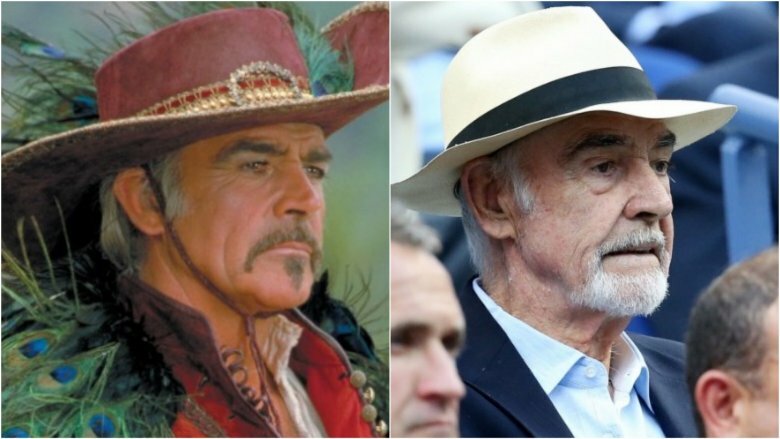 Here's where the cast of Highlander is now. Let's start off with Connor MacLeod himself. 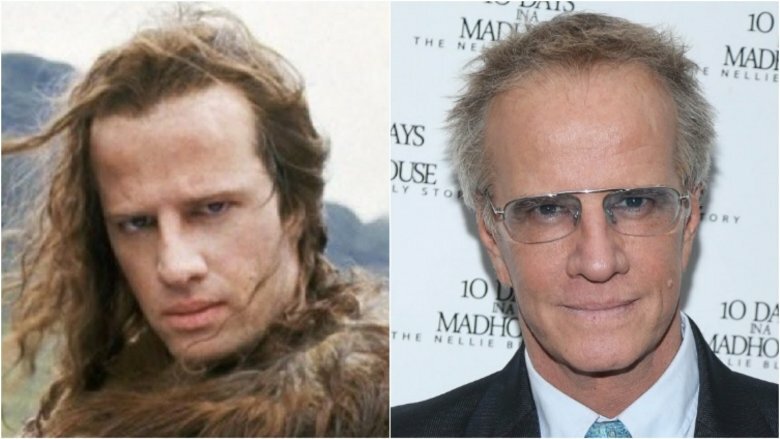 Christopher Lambert looked like the guy to be back in the 80's. The mysteriously accented actor got his start in a series of French films before breaking out in 1984's Greystroke: The Legend of Tarzan, Lord of the Apes, a movie that was nominated for three Academy Awards and whose title won an immediate place in the hearts of movie critics who got paid by the word. Lambert's work on Greystroke wound up landing him the role of Connor in Highlander after the director saw his picture and felt that his eyes "had a timeless quality." What he didn't know was that some of that might have come from Lambert's myopia, which made training for the film's swordfight sequences a challenge. Lambert's onscreen presence has cooled in the U.S. in the three decades since Highlander's release. A stint on NCIS: Los Angeles and an appearance in 2011's Ghost Rider: Spirit of Vengeance make up the bulk of his work stateside in recent years, but he still works regularly in European film and television productions, showing up as himself in the French series Call My Agent! in 2016 and as a recurring character in the Russian television adaptation of the life of Mata Hari. Fans of seeing things get boxed and kicked in a retaliatory fashion can check him out as the villain in Kickboxer: Retaliation. Starring alongside Lambert was Roxanne Hart, who played MacLeod's modern-era love interest Brenda Wyatt, a forensic pathologist tasked with figuring out why people's heads kept getting chopped off. As often occurs in these situations, Hart falls for MacLeod when she learns that the decapitations are sort of a cultural eccentricity and that arresting anybody for them would be insensitive. 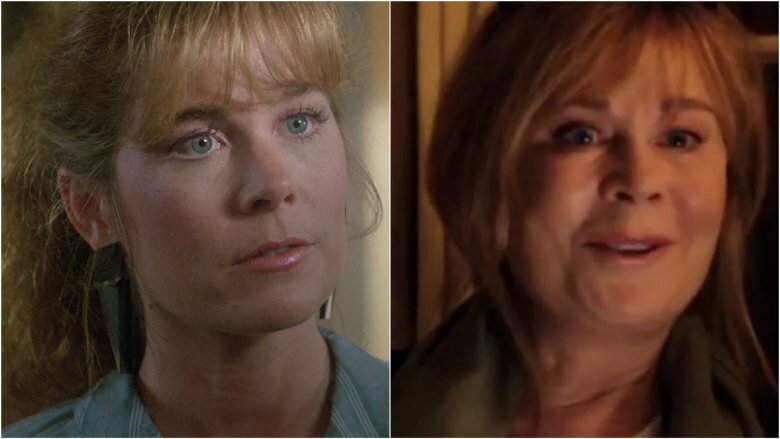 Hart wasn't a huge star when she was cast in Highlander, and was mostly known for TV appearances on '80s staples like Remington Steele and One Life to Live. To this day, Hart is mostly known for her role in Highlander. In the mid-'90s, she had a 46-episode run on Chicago Hope, but her film career sort of fizzled out. Still, she's maintained an active career, with dozens of IMDb credits in the last ten years. More recently, she had a multi-episode arc on How to Get Away with Murder and appeared on an episode of Flaked. The unofficial spokesman for Scotland and general masculinity, Sean Connery was by far the standout celebrity in the cast of Highlander. At the time of the film's release, he was already famous for his turns as Macbeth, the lead in Zardoz, and of course, his most famous role, Michael McBride in Darby O'Gill and the Little People. Also he apparently played a spy in something. Connery's portrayal of the sort of Spanish, sort of Egyptian, katana-wielding mentor to Connor MacLeod was, like much of Highlander, puzzling. He retired from acting in 2003, only returning for voice work in 2005's video game adaptation of From Russia with Love and the universally maligned cartoon Sir Billi in 2012, the latter of which he seemed to do, at least in part, because they let him record his lines in the Bahamas. In recent years, the 88-year-old actor has stayed mostly reclusive. Some say that he'll return like a Scottish King Arthur when Glasgow needs him most. Others, notably his brother, say he's sort of in hiding due to his status as a tax exile. 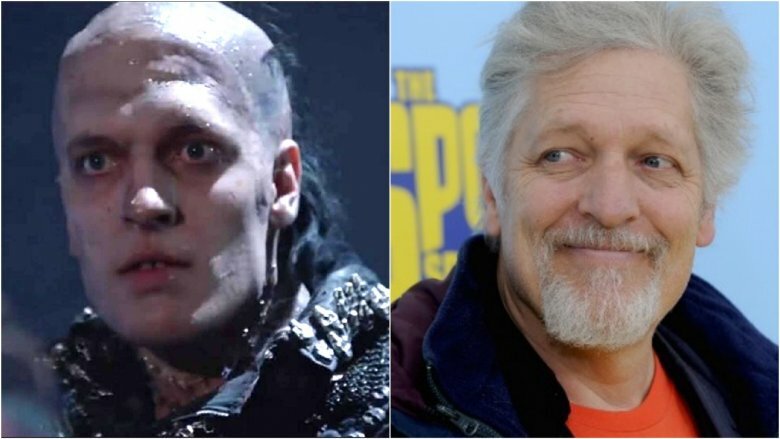 The question with Clancy Brown isn't "where is he now?" as much as it is "where isn't he?" The towering character actor who went full maniac as Highlander's Kurgan has stayed busier than just about anyone in the cast. When Highlander came out, Brown was still pretty unknown. He'd appeared in a handful of movies, including the cult classic The Adventures of Buckaroo Banzai Across the 8th Dimension, and rounded out his classical dramatic training with an episode of The Dukes of Hazzard, but Highlander was his first major gig. According to the director, Brown was so nervous during his fight scene with Sean Connery that he accidentally smashed the flat side of his sword into a table, shattering the weapon, sending a shard of it flying past Connery's head, and convincing the Scotsman to use his stunt double a little more often. Since then, Brown has worked consistently. 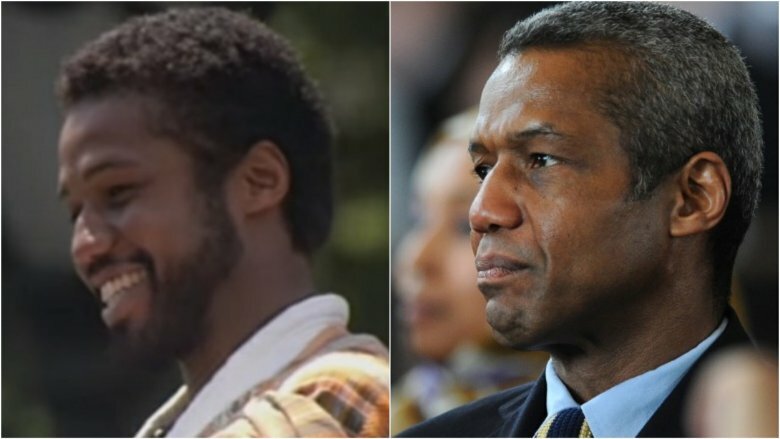 You'll probably remember his face from The Shawshank Redemption and Starship Troopers, but his longest-running performances might surprise you. Not only has he been playing the voice of Lex Luthor in cartoons and video games since the '90s, he's also the voice of none other than SpongeBob SquarePants' Mister Krabs. The death of Heather, Connor MacLeod's back-in-the-day GF, filled two important roles in Highlander. First, it foreshadowed the lonely life that Connor had in store for him as an immortal, doomed to watch those he cared about succumb to sickness, old age, and death. Secondly, it gave Queen's Brian May an excuse to write "Who Wants to Live Forever," which he said was entirely inspired by an early cut of the film. Classic Queen. We owe you, Heather. 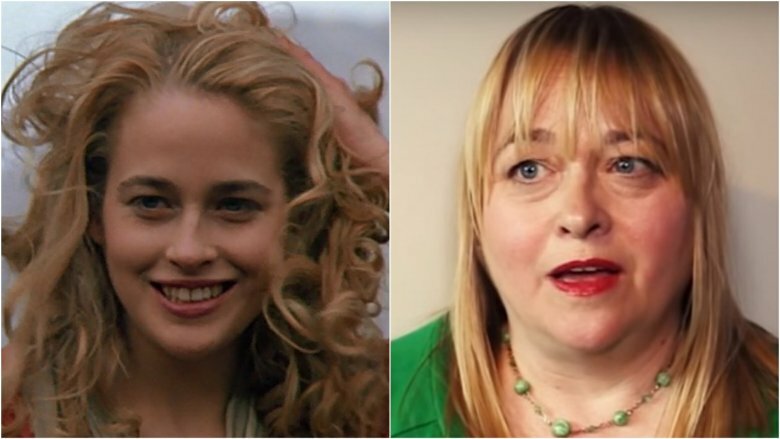 Heather was played by British actor Beatie Edney. Another newcomer at the time of filming, Edney never broke out internationally the way some other cast members did; still, she's maintained a steady stage and television career in the United Kingdom. She's recently played a supporting role in the British series Poldark, the story of a British soldier returning home after the American Revolutionary War, as well as BBC's The Coroner. One of Highlander's most memorable scenes comes when Connor meets up with his old friend Sunda and the two think back on all the fun they used to have getting drunk and letting the aristocracy stab them. That sort of memory is why it's so important to stay in touch with old friends. Sunda was played by British actor Hugh Quarshie. Born in Ghana, Quarshie is probably best remembered in the U.S. as the captain of Queen Amidala's guard in Star Wars Episode I: The Phantom Menace. Other appearances include a couple of episodes of Doctor Who during the David Tennant years and a supporting role in the 1994 TV movie MacGyver: Lost Treasure of Atlantis. Lately, he's kept plenty busy playing Ric Griffin in over 500 episodes of the British medical drama Holby City. There's also a decent chance that he's the rightful chief of Abee in Ghana. Some people have all the luck.